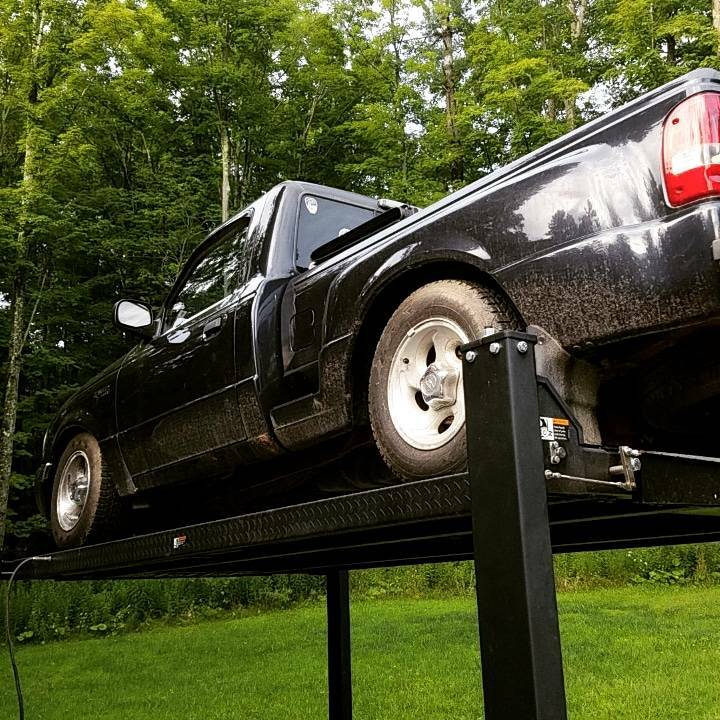 I'm wondering if my truck will sit remotely level with 2'' lowering coils and 4'' lowering leaf springs. I'd like to keep the hangers stock in case I sell the truck someday I can return everything to factory. 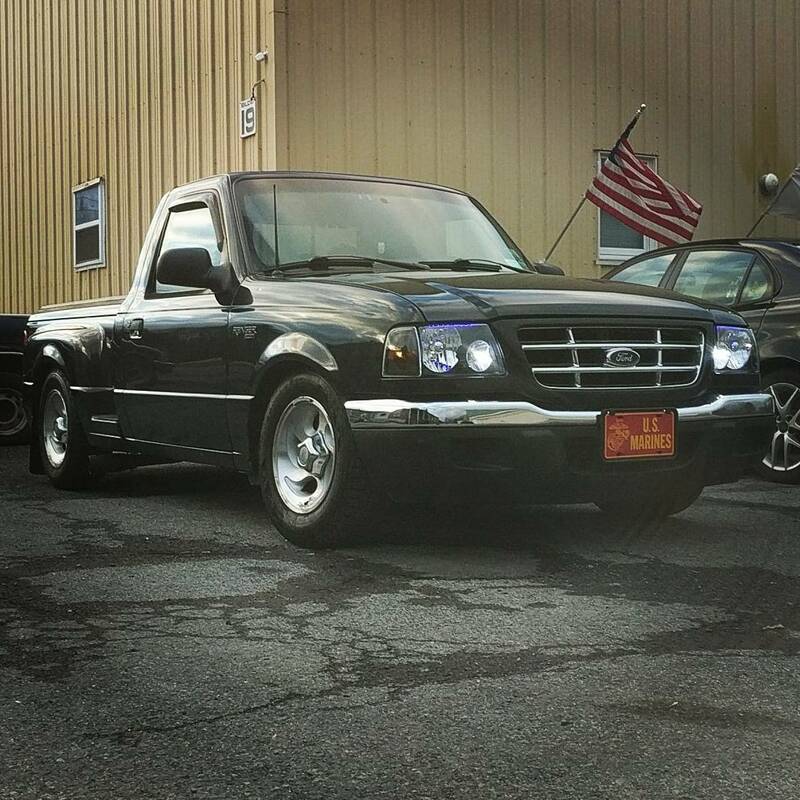 The truck is a 2wd 1994 single cab 4 banger. Re: 2/4 drop with coils and leaf springs?? 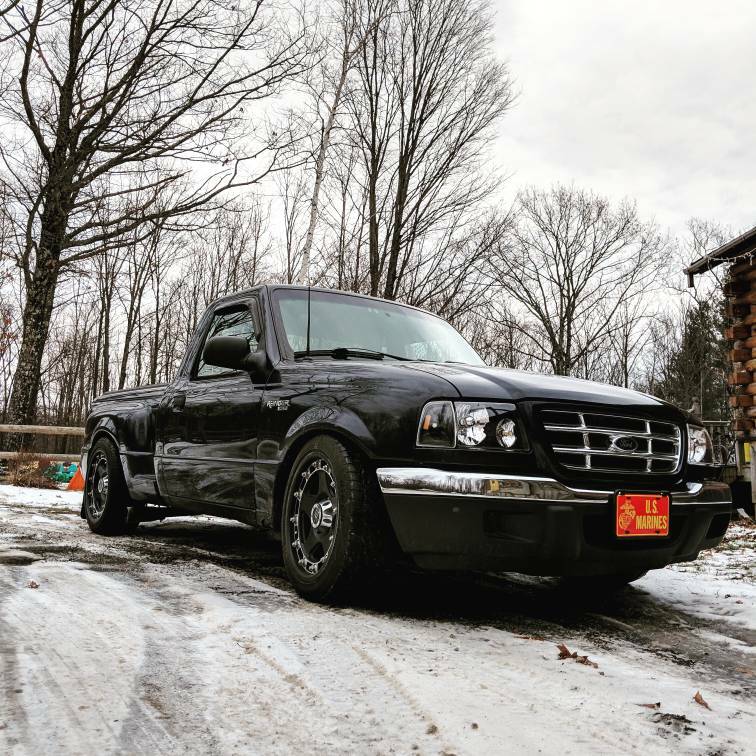 This is my truck with the original 3/5 drop. Little further on both sides but it'll be around the same difference in drop. I think I ended up being a hair lower up front with that drop, but I also didn't mess with hangars so it might've been more like 4.5" rear drop. 5" is just what the kit said, I never actually measured. Last edited by ford4thot; 04-05-2019 at 05:55 PM. What size tire are you running in that picture?